As well as our core data types the Plymouth Coastal Observatory also holds various other datasets. These include historic datasets given to us for use in our analysis and data shared with us by our Partners as well as data and reports collected by the Programme. 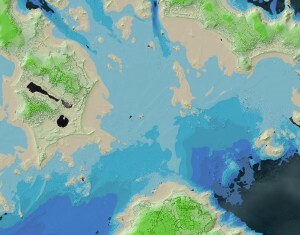 The Programme has been trialling airborne bathymetry and in 2015 collected a seamless topographic and bathymetric dataset of the Isles of Scilly. 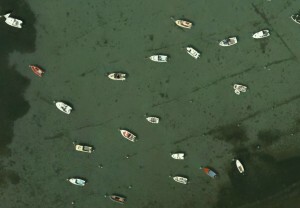 A by-product of this data collection was very high resolution (5cm) aerial photography which we were also able to obtain for the Programme. 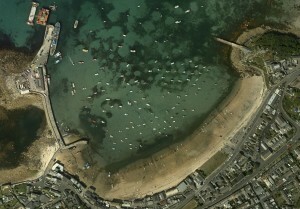 An example of the combined airborne topographic and bathymetric survey along with an extract from the high resolution aerial photography showing St Mary's Harbour and the detail on the boats. 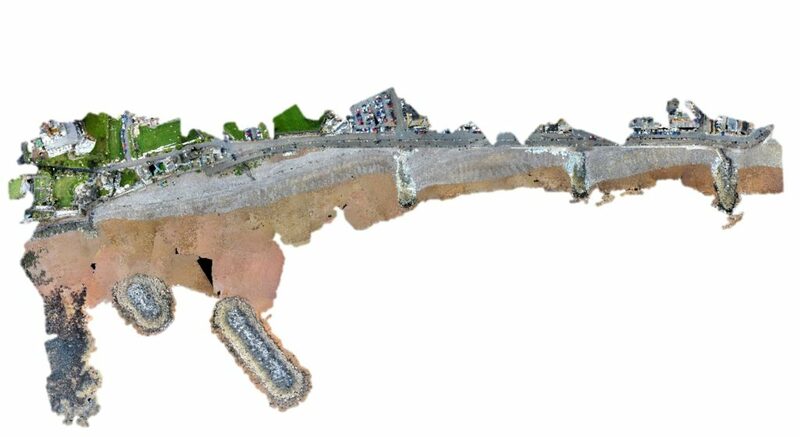 As part of the Devon, Cornwall and Isles of Scilly Coastal Asset Review and Project Management Support Programme, we have carried out laser scan surveys of coastal defence assets at Eastcliff near Teignmouth (Devon), Polperro and Portreath (Cornwall). We also carry out yearly laser scan surveys of Chesil Cove seawall and Weymouth harbour on behalf of Dorset Councils Partnerships. TLS data for the cliffs at Pennington Point near Sidmouth (Devon) was also collected in 2017 on behalf of East Devon District Council. Shall you wish to find out more, please get in touch. An example of a TLS survey for the cliffs at Pennington Point, Sidmouth (Devon). During our last set of topographic baseline surveys in summer 2017, some of our survey units were surveyed by UAV. Point cloud data and ortophotos are available on request as a by-product of this dataset. As part of the Sidmouth BMP, a UAV survey of the groynes at Sidmouth was carried out in 2018. 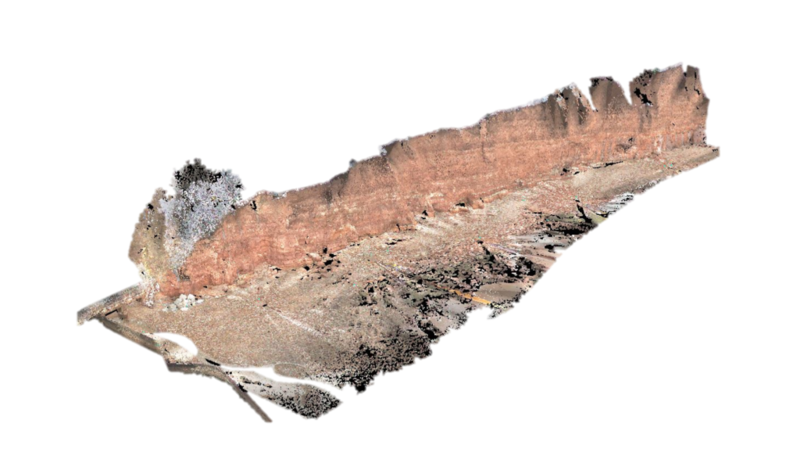 An example of a UAV survey of the groynes at Sidmouth (Devon).